During the early 1800’s, numerous small Bordeaux wine vineyards were located in the appellation of Pauillac. One of the better small estates was owned by M. Mandavy. That chateau later became Chateau Duhart Milon. 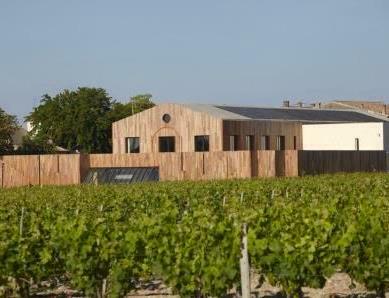 Next to their vineyards sat a Bordeaux wine vineyard belonging to Mr. Jean-Baptiste Clerc. The Clerc family owned the vineyard at the time of the 1855 Classification. Clerc sold part of his estate to Mr. Lamena before he passed away in 1863. The remaining portion of his holdings were inherited by his widow. That part which had been purchased by the Lamena family was sold to Jacques Mondon, who mounted a legal challenge for the right to use the estate name of Clerc Milon. Despite owning the smaller part of the original estate, he won the case. The property became known as Clerc Milon-Mondon for a short time. The vineyard holdings were broken up first in 1877 during the widows’ successions and finally reduced to just half its original size after that. Jacques Mondon, a notary in Pauillac, bought the estate and began to bottle and the sell the wine as Clerc Milon Mondon. In the 1960’s, the chateau and vineyards passed into the hands of Jacques Vialard, another Pauillac notary, and then on his death, the vineyard was given to his sisters Marie and Marguerite Vialard. Baron Philippe de Rothschild, the owner of Chateau Mouton Rothschild acquired Clerc Milon from the family in 1970. A series of different owners and sales had completely forgotten about Chateau Clerc Milon to the point where the original vineyard was divided into several hundred parcels, with almost as many title deeds. Poorly maintained, Clerc Milon had only 10.5 hectares of vines in production and was little known outside of Pauillac at the time is was purchased by Baron Rothschild. The Baron described it as; “A pretty estate in a high-quality terroir, that was currently in poor condition.” He was right. And that was soon to change. Knowing something about image, after all the Baron in part, recreated Mouton Rothschild in his own flamboyant image, he decided Clerc Milon also needed its own identity to stand out in the Medoc. He chose a representation of a Jungfraubecher, a German marriage cup dating from 1609 which is on display in the Museum of Wine in Art at Chateau Mouton Rothschild. In 1983, the illustration for the Chateau Clerc Milon label was changed to a pair of dancing clowns made of precious stones. The original art was created by a 16th century German goldsmith, also displayed in the Museum at Mouton. In 2007, Clerc Milon renovated the Left Bank estate and constructed new wine making facilities. This is important to note as Chateau Clerc Milon does not have an actual chateau. Instead, they have only technical wine making facilities. Part of this major improvements started with the new vat house. Entirely gravity-fed, it completely eliminates the need for pump overs. The new facilities at Clerc Milon are based on a green philosophy. Energy is produced due to the 300 square meters of photovoltaic cells on the roof top. Chateau Clerc Milon lays claim to being the first vat house with HQE (High Environmental Quality) certification in the Bordeaux wine making region. The estate added a new barrel cellar which was built inside a small hill placing half the cellars underground. This keeps the cellar cold while taking advantage of the environment. Work continues on replanting the vineyards. Optical sorting is also used. All of these improvements in the facilities have clearly helped create a better wine at Clerc Milon. In time for the 2017 harvest, Clerc Milon became the first estate in Bordeaux to use robotics in their vineyards. Nicknamed, Ted, the robot was created in a partnership with Naio technologies. Originally, the robot was conceived to aid in simpler, agricultural, vegetable farming. But with the right technological innovations, Ted, was altered for grape harvesting. The 45 hectare vineyard of Clerc Milon in Pauillac is planted to 50% Cabernet Sauvignon, 36% Merlot, 11% Cabernet Franc, 2% Petit Verdot and 1% Carmenere. Chateau Clerc Milon maintains one of the largest plantings of Carmenere in Bordeaux. The vineyard has a terroir that is a complex array of gravel, limestone, sand and clay based soils. The vineyard is spread over 247 different parcels, making it a very difficult patchwork of soils to farm and harvest. The owners are trying to slowly change that. When neighboring parcels are replanted, they are now joined together. With one small exception, a small parcel of vines placed close to Chateau Pedesclaux, all of their vines are in 1 large block. Chateau Clerc Milon is in the northern part of Pauillac, with vines next to 2 First Growth estates, Chateau Mouton Rothschild and Chateau Lafite Rothschild. The best parcels of Clerc Milon are located on a plateau, not too far from the Gironde estuary. Today, close to 50% of their vines are farmed using organic farming techniques. On average, the vines are 53 years of age. However, they have even older vines. In fact they own some Carmenere vines that were planted all the way back in 1947. Those are the oldest remaining Carmenere vines in the entire Bordeaux appellation! The vine density is the same as what is planted at neighboring Chateau Mouton Rothschild with 10,000 vines per hectare. All work in their vineyard is done using only, 100% biodynamic farming and sustainable vineyard management techniques. To produce the wine of Chateau Clerc Milon, vinification takes place in 40 stainless steel temperature vats which allow for very precise vinification of the vineyards 45 hectares of vines. Malolactic fermentation takes place in tank. The wine of Chateau Clerc Milon is aged in an average of 30% new, French oak barrels for between 14 and 18 months. The amount of oak and time in barrel depends on the character of the vintage. To commemorate the properties newly reconstructed chai, starting with the 2010 vintage, the wine featured a new label designed by Richard Peduzzi. Richard Peduzzi is best known as the interior set designer for the Louvre and d’Orsay museums in Paris. In 2015, Chateau Clerc announced they were going to start producing a second wine, Pastourelle de Clerc Milon to help continue increasing the quality of their Grand Vin. However, the better term would be, they were about to start releasing a second wine, as Pastourelle de Clerc Milon was made starting with the 2009 vintage. The best vintages of Chateau Clerc Milon are 2016, 2015, 2014, 2012, 2010, 2009, 2008, 2006 2005, 2003 and 2000. Clerc Milon produces a charming style of Pauillac. In the best vintages, this classically styled Bordeaux wine offers ample concentration of currants, blackberry and spice. This property has recently undergone major renovations in the cellars and in the vineyards. Management has changed as well. 2009 and 2010 were the finest young vintages of Clerc Milon I’ve ever tasted. That changed with the sublime 2016 vintage here. The wine expresses ample Pauillac character with good concentration of flavors paired with supple textures. Hopefully, this trend to producing better wine at this property will continue as I expect good things to come from this estate over the next several years. Chateau Clerc Milon is ably managed by Jean-Emmanuel Danjoy. Under the direction of Jean Emmanuel Danjoy, Chateau Clerc Milon is now making the best wines in the history of the estate. Much of that success is due to their work in the vineyards, selection and in picking riper fruit, according to Jean-Emmanuel Danjoy. “At Clerc Milon, we look for complete phenolic ripeness when harvesting. 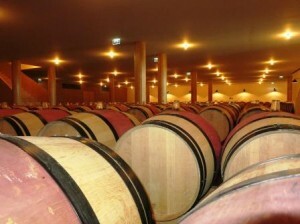 On average, there is close to 16,000 cases of wine produced each year at Chateau Clerc Milon. There is a second wine, Pastourelle de Clerc Milon, which made its debut with the 2009 vintage. Chateau Clerc Milon can be enjoyed on the young side with a few hours of air. But I find it so much better with cellaring. The wine is usually better with 8-12 years of bottle age. Of course that can vary slightly, depending on the vintage character. In the best vintages, the wine will be at its best level of peak maturity between 10-25 years of age after the vintage. Young vintages can be decanted for an average of 2-3 hours, give or take. This allows the wine to soften and open its perfume. Older vintages might need very little decanting, just enough to remove the sediment. Chateau Clerc Milon is best served at 15.5 degrees Celsius, 60 degrees Fahrenheit. The cool, almost cellar temperature gives the wine more freshness and lift. Chateau Clerc Milon is best served with all types of classic meat dishes, veal, pork, beef, lamb, duck, game, roast chicken, roasted, braised and grilled dishes. Chateau Clerc Milon is also good with Asian dishes, hearty fish courses like tuna, mushrooms and pasta. Minerality and salty tannins heighten the natural sweetness of the deep, red fruits. The wine has vitality, gentleness and the structure to age. The finish delivers ripe cassis, blackberry, licorice and even more rock and stone. Certainly this is one of the best vintages for Clerc Milon. An arrangement of 60% Cabernet Sauvignon, 23% Merlot, 14% Cabernet Franc, 2% Petit Verdot and 1% old vine Carmenere, the wine reached 13.2% alcohol with a pH of 3.64. The harvest took place September 13 to September 29. Medium bodied, elegant, forward, red berry filled with accents of currants, tobacco leaf and wet earth. You can drink this on release. What a super wine! This has depth of flavor, perfectly ripe, juicy, sweet, fresh cassis galore, soft, silky tannins and a finish that keeps on going. This should age without trouble for at least 30 years, but will start drinking well by its 10th birthday. Retaining its depth of color, the wine easily shows off its black raspberry, cassis, cocoa and floral notes. Silky tannins with a hint of salt and a purity of fruit with freshness for lift keep the layers of fruit on its toes. With quite a dark ruby color, there is chocolate-covered black raspberry, plum, and cigar box with a floral nose. The palate has a richness that I've never seen here before. Concentrated, polished, silky, sweet and fresh, the wine is long with real depth of flavor, ending with a salty complexity in the finish. This is a new level of quality for Clerc Milon. Blending 55% Cabernet Sauvignon, 29% Merlot, 13% Cabernet Franc, 2% Petit Verdot and 1% old vine Carmenere, this wine reached 13.6% alcohol with a pH of 3.58. The harvest took place September 26 to October 15. Medium bodied with a bit of minerality in the salty tannins, the wine is vinified to be soft, approachable, fruity, elegant and fresh. Pastourelle de Clerc Milon is not sold as a future, the wine is aged until it's ready for drinking, which, on average, is five years after the vintage. Floral and tobacco nuances pop right up before moving on to the elegant textured, black cherry, licorice and crushed rock characteristics found here. The wine offers energy and purity in its fruits with soft tannins in the finish. Elegance, purity and freshness are the hallmarks of this beauty. Medium/fulll bodied, with layers of alternating black cherry and cassis, you also find notes of spice box, tobacco and cedar. The smooth tannins and fresh dark red fruits in the finish resonate with crispness and length. This will age quite well. At the top of my score range, or even better is where this should end up. Rich in texture, silky tannins and ripe, pure, sweet, cassis with a crispness on the palate is the name of the game here. If you are looking for an easy to drink wine that does not break the bank when you're dining out, this is a perfect choice. Forward, soft, fruity and round with enough, softly textured fruit to satisfy. This is a fine wine of pleasure. Freshness, ripe, sweet, dark red fruits, soft, elegant tannins and an attractive, spicy, fresh, red berry finish, what more can you ask for in a young Pauillac? Elegant, early drinking, medium bodied Pauillac, with a floral, red berry and cassis character. With a floral, cassis, earth, thyme and black cherry nose, this soft styled wine will deliver tasty, early drinking pleasure. With a floral, cassis, earth and black cherry nose, this soft styled wine will deliver tasty, early drinking pleasure. Fresh, lively, vibrant red fruits and spice, medium bodied, with an open, red plum and black cherry finish. Polished, soft, fresh, forward and elegant, the lively, cassis and dark cherries are complicated by earthy, tobacco and spicy qualities. Open and easy to like, this is a very successful wine in this difficult year. Medium/full bodied, pure, fresh and clean, the wine is refined, elegant, energetic and polished, with a cored of ripe, sweet, red fruits that builds and expands. The tobacco, cedar, pepper and red fruits in the nose and finish feel as good as they taste. Give this until 2022 and the wine should be rocking'! A beauty in 2010, this is a great Pauillac with character. The cassis, tobacco and cedar character, coupled with the elegant tannins and freshness makes a great combination. Dark in color, the vibrant fruit and soft, polished ripe tannins are followed by a good denseness of raw material and richness of fruit on the palate. This is an attention seeking, well priced Pauillac. In another 7 years, give or take, this is going to be a treat. Earthy, coffee bean, vanilla, spicy black raspberry, cedar chest, and fresh cassis notes create the bouquet. Concentrated with cassis, fresh, spicy black cherries, ripe, but powerful tannins, balance and freshness, this is still a baby. Give it at least 5 years of age, if you can keep your hands off it. With a ruby hue, the Asian spice, smoke, spice and cigar box aromas are easily found. Silky, soft and polished, there is a sense of refinement in the fruit along with a slight chocolate sensation. The fresh, ripe character of the fruit in the finish make this a vintage for early drinking, or one that consumers can age. 2009 was the first vintage for the new director, Jean Emmanuel Danjoy. Coffee, licorice, truffle, blackberry and tobacco scents lead to a lush, sweet, round and ripe wine that delivers sweet black cherries and spice and soft, plush textures. Cedar, cassis, tobacco, blackberry, earth and spice aromas were all over the place. This blend of 50% Cabernet Sauvignon, 44% Merlot, 4% Cabernet Franc, 1% Petit Verdot and 1% Carmenère creates a wine that combines freshness, clean fruit, cassis and round tannins. There is ample concentration of raw materials to allow the wine and evolve, yet it will drink well young. Medium bodied, forward, easy to drink, the wine is soft textured, showing a floral and cherry nose and palate. This drinks well on release. The is the first vintage for the second wine of Clerc Milon and is produced from a blend of 50% Cabernet Sauvignon and 36% Merlot, 11% Cabernet Franc, 2% Petit Verdot and 1% Carmenere. Starting to show just a hint of lightening in the color, the wine is medium bodied, fresh, soft and offers its red fruit and licorice with ease. Classic in style, with a reserved character, you can drink this now, or age it a few more years to gain more nuances to accompany all that fresh, juicy, tobacco filled cassis.. Medium bodied, structured and on the firm side of the style range for Clerc Milon, the wine is young, lacking the depth and excitement found in the next series of vintages. Scents of chocolate, licorice, cassis, cherry, mint, coffee and stone open to a medium/full bodied, soft textured wine, ending with a tart, black cherry filled finish. The wine was produced from a blend of 42% Cabernet Sauvignon, 40% Merlot, 16% Cabernet Franc and 2% Petit Verdot . Clerc Milon was already closing down. With coaxing, earth, tobacco, cedar and cassis aromas could be found. This lighter style of Pauillac wine ends with a chocolate covered, cherry finish. The vintage of Clerc Milon to buy remains the 2009. Medium bodied, earthy, cedar dominated character with crisp, peppery, red fruits in the finish. Lighter in style and delivering all it has to offer today, with its earthy, tapenade and cherry profile, drink this over the next few years. Ready for drinking, this charmer delivers tobacco, dark chocolate and sweet red fruits. Medium bodied and mature, the nose, followed by the sweet, fresh, ripe, red berry filled attack are far more interesting than the finish. Drink now age it for more development. Truffle, cocoa powder, blackberry and spice on the nose, with ripe, polished tannins, the structure to age and a fresh, crunchy, cassis finish. Give it a few more years to soften and come together. Earth, tobacco, cassis, spice and blackberry scents, soft, polished tannins and a fresh, spicy cassis finish are found in this charming Pauillac. The wine was made from a blend of blend of 50% Cabernet Sauvignon, 44% Merlot and 6% Cabernet Franc. Drink this now if you them young, or give it a few more years to develop. From an assemblage of 50% Cabernet Sauvignon, 44% Merlot and 6% Cabernet Franc, the wine opens with tobacco, smoke, blackberries, cedar chest and floral aromas. The wine offers good concentration of flavor and is more powerful as well as tannic than many vintages of Clerc Milon. Although the tannins are polished, this is young and needs another 5 years before the tannins fade, the wine softens and begins to truly open up. This is a stylish Pauillac that still sells for a reasonable price for a classified Bordeaux wine. This has turned the corner and is now just great to drink. The nose shows secondary notes. The tannins have softened, the fruit is there, but so are the earthy, spicy, tobacco, cedar and cherry nuances. Drink this now, or wait a few more years as this is just now entering its prime time drinking window. Silky, smooth, delicious, polished, sweet, dark red fruits and tobacco with some, refined tannins left to resolve and a kick of fresh, juicy, cassis in the finish. Give this a few more years to develop. Cigar box and cedar wood along with cassis and blackberry are available in the open nose. Soft and elegant on the palate, with a fresh, crisp, refined red berry center, this is only going to get better with another 3-5 years of bottle age. Medium bodied and loaded with tobacco, earth, cassis and dark berries, this soft, elegant, refined, fresh Pauillac will probably drink well young. Give it a few more years. The wine was produced from a blend of 48% Cabernet Sauvignon, 40% Merlot, 10% Cabernet Franc, 1% Petit Verdot and 1% Carmenere. Earth, cigar box, blackberry and green pepper on the nose. There is a hint of dryness on the palate in the singed, cassis finish. This is ready to drink. Cedar wood, spice, earth and dark cherry aromas, medium body and an open, ready to drink, soft, red berry personality. The wine was produced from a blend of 49% Cabernet Sauvignon, 42% Merlot, 7% Cabernet Franc, 1% Petit Verdot and 1% Carmenere. With wet earth, spice box, truffle tobacco and fresh blackberries on the nose, this medium bodied, finesse styled wine avoids the over ripe qualities many wines suffer from in this vintage. Soft and close to fully mature, there is a dusty quality to tannins in the dark chocolate and cassis finish. With the patina of age in the color, tobacco, forest floor and fresh herbs dominate the perfume in this cassis filled wine. Medium bodied, with some dryness in the cherry dominated finish, if you own any, drink up as this wine is not going to get better. The wine was produced from a blend of 55% Cabernet Sauvignon, 39% Merlot, 2% Petit Verdot, 1% Carmenere and 3% Cabernet Franc. Tobacco, cedar, smoke, cassis, s[ice and wet earth. Soft and round in texture, with a juicy mouthful of fresh cassis, this medium/full bodied wine is maturing at a rapid pace. A solid wine that is drinking well at 12 years of age. Lots of fresh, ripe cassis, forest floor, tobacco, cherries and earth. Soft, charming and vibrant, this is quite nice today. The wine was produced from a blend of 55% Cabernet Sauvignon, 40% Merlot, 3% Cabernet Franc and 2% Petit Verdot. Vibrant, medium bodied with a bright, red berry quality to the fruit, the wine is probably close to fully mature. The wine was produced an unusual blend of 54% Cabernet Sauvignon, 36% Merlot and 10% Cabernet Franc. Soft, fresh and open, this medium bodied wine serves up fresh cassis, blackberry, forest floor and tobacco in the nose. Polite and refined, this is drinking well today. The wine was produced from a blend of 67% Cabernet Sauvignon and 33% Merlot. Following the 2009 Clerc Milon, this is my favorite vintage, and it's drinking perfect today with its earthy, tobacco, cassis and cedar chest aromas. More of a finesse Pauillac in style, the medium bodied wine offers pure, ripe, soft cassis and spice in the finish. The wine was produced with an unusual blend for the property, 67% Cabernet Sauvignon and 33% Merlot. From a blend of 51% Cabernet Sauvignon, 37% Merlot, and 12% Cabernet Franc, this fully mature Pauillac displayed cassis, tobacco and truffle in the aromas. With a medium body, this Pauillac ended with with sweet, black cherries and spice flavors. This Bordeaux wine is fully mature. There is no reason to age it any longer as it will not improve much from here. Cassis, plum and hints of earth make up the perfume. Medium bodied and uncomplicated, the wine finishes with fresh strawberry and plum flavors. Cassis, blackberry, olives and herbal notes made up the perfume. Already mature, this easy drinking Pauillac ended with bitter chocolate and backberry flavors. This has slipped past its prime time window. Light in the palate and nose, this easy drinking style of wine is not bad, it’s just simple, lacks excitement and requires immediate drinking. This starts with black fruit, licorice, camphor and coffee notes on the nose. Full bodied with a nice finish of licorice tinged cassis. This wine is fully mature and should be enjoyed sooner than later. The fruit has already started fading.